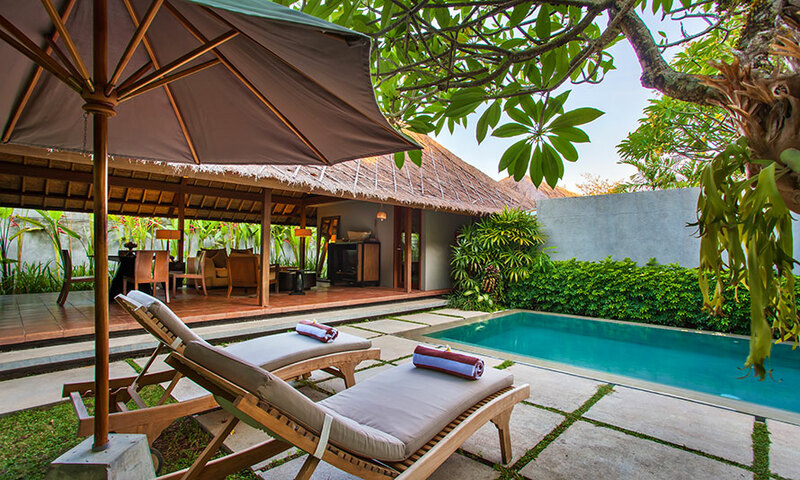 There are private pool villas, and then there are the private pool villas at Mayaloka Villas Seminyak - an exotic, hidden paradise set within lush gardens only minutes from beautiful Petitenget Beach. 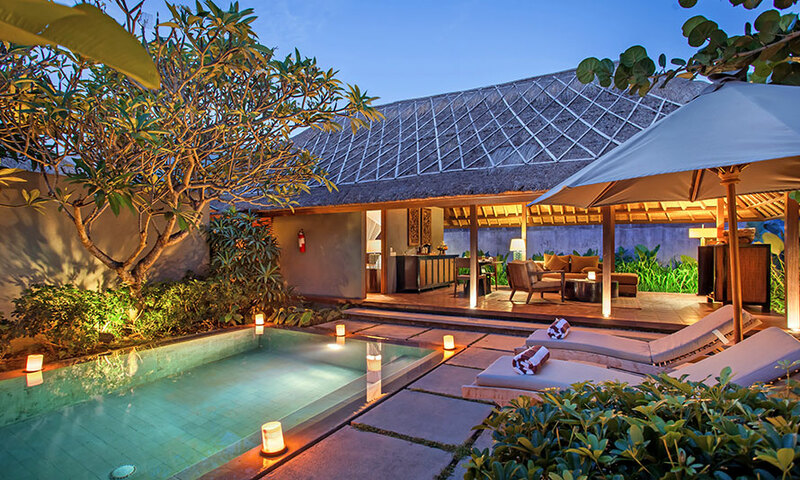 Treat yourself to five or seven nights of bliss in a stylish One or Two Bedroom Pool Villa, available for two to four guests depending on your option chosen, and indulge with daily American breakfast, an in-villa dinner experience, 1 x 60-minute massage per couple, return airport transfers and more. See the full list of inclusions below and start planning your Balinese villa escape today! Each of the One Bedroom Villas is an oasis with private pool and lush tropical gardens. Traditional flourishes such as thatched roofs, peaked ceilings and hardwoods are featured throughout, creating a warm and inviting atmosphere. You can rise from your air-conditioned bedroom, throw open the sliding door and head outside to the shaded sitting area to relax on a lounge, or take a seat by the pool and while away the day. Featuring two separate bedrooms with their own bathroom, these villas are a perfect for families, two couples, or a group of friends. 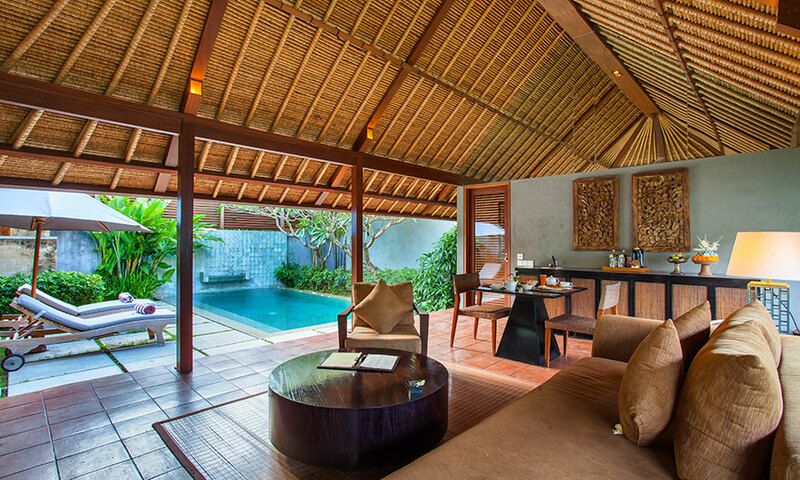 Each of these villas features an open living area and their own private pool. A TripAdvisor Certificate of Excellence winner, Mayaloka Seminyak Villas has taken traditional Balinese style and given it a modern twist. Choose from a range of stylish one and two bedroom villas, each a private oasis set in lush tropical gardens, and featuring a swimming pool and semi-outdoor bathroom with a separate tub and rain shower. The resort features a free, scheduled drop-off shuttle service within the Seminyak area, 24 hour front desk reception, daily house-keeping and more. Taking your experience to the next level, in-villa dining will bring a taste of authentic Balinese culture directly to your living room. 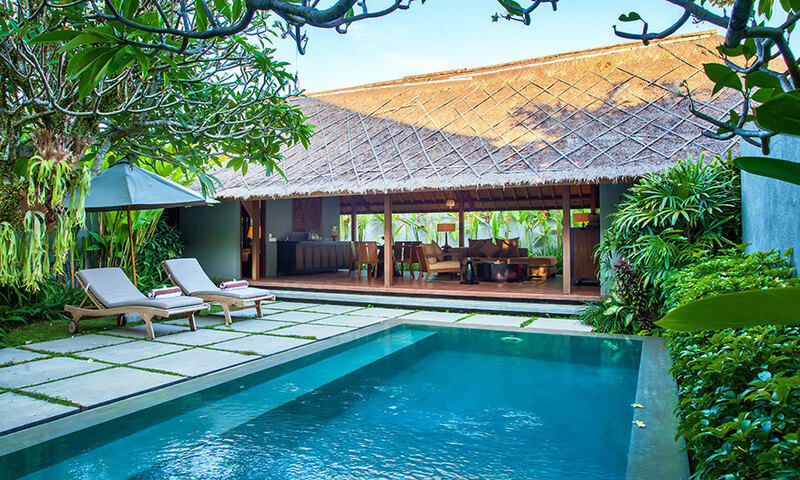 Mayaloka Villas is located in Seminyak, a 10-minute walk from Petitenget Beach, a vibrant area renowned for its excellent dining venues and boutique shopping alternatives. Petitenget Beach is ideal for those who enjoy relaxing in the sunshine or a leisurely walk at sunset. Bali’s Ngurah Rai International Airport is just 15-minutes drive away. Travel offer is valid for travel until the 1st June 2020. This travel offer is priced for two or four people depending on the option chosen. - Infants 0 – 4 stay free of charge at the property, sharing existing bedding with parents and do count towards the maximum room capacity. - Children are classed as 5 – 12 years old. One Bedroom Pool Villa: 1 x King bed (subject to availability). Two Bedroom Pool Villa: 2 x King beds (subject to availability).